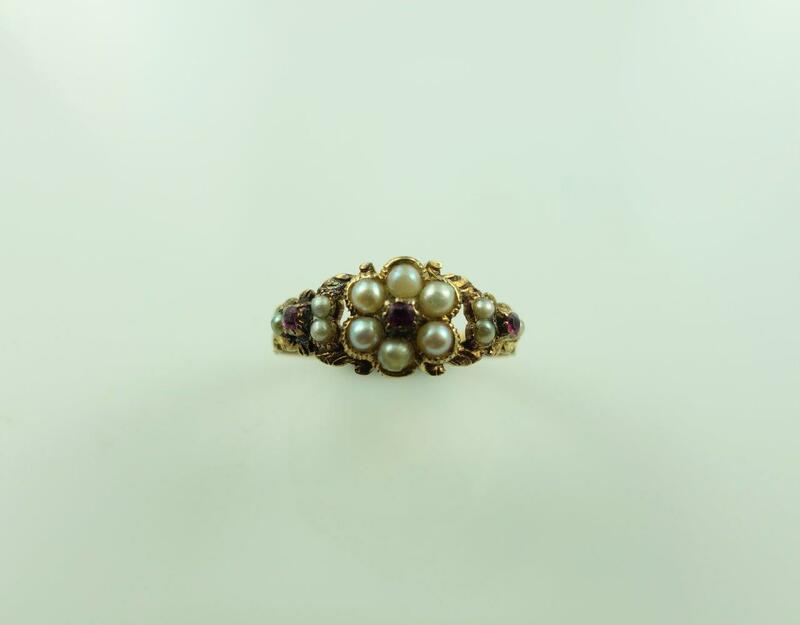 A pretty antique cluster ring, with a ruby forming the centre of a pearl flower, and pearl and ruby shoulders. 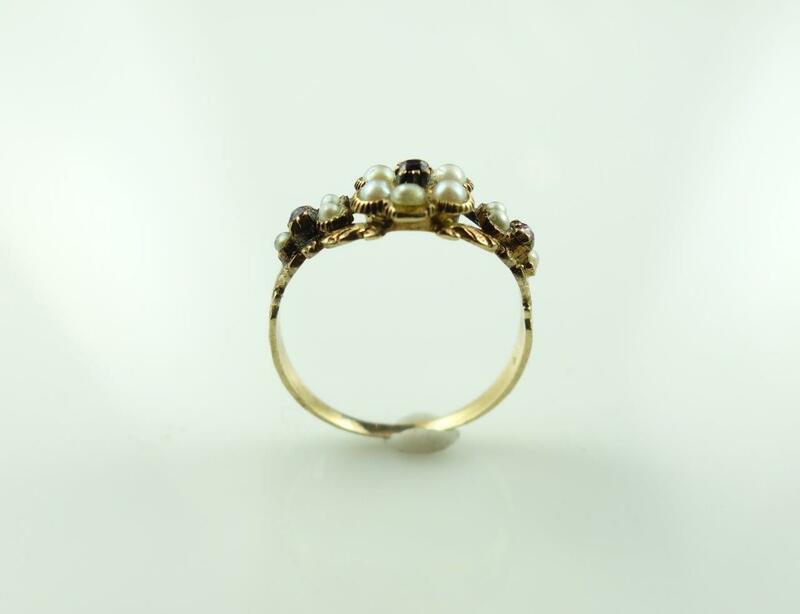 The ring would originally have had a locket back possibly containing a lock of hair however, as is often the case, the glass is no longer there. 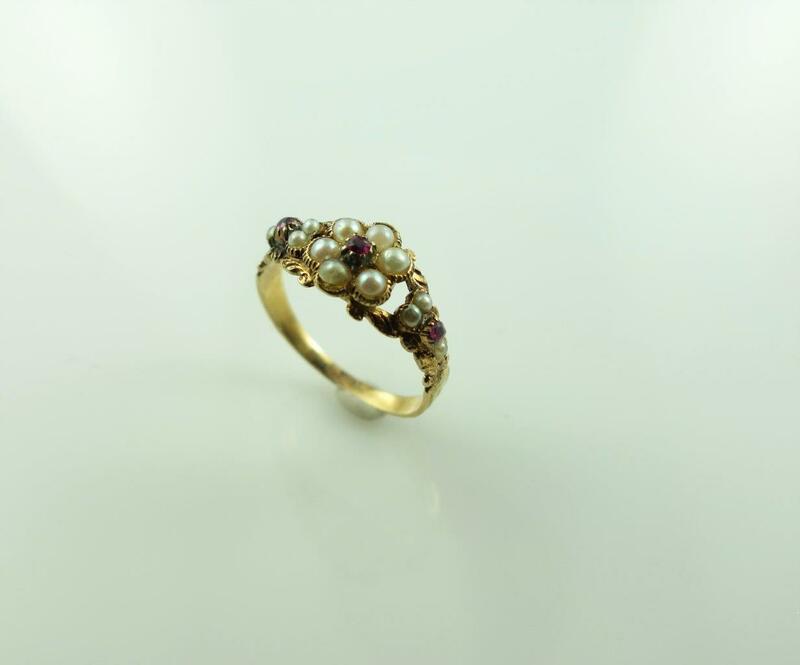 Although unmarked, the gold tests as 18ct and is a sweet example of a mid-19th century ring. Weight 2.60g.